Sometimes a particular orphan’s medical needs will be so great that an orphanage’s entire health care budget is devoted to obtaining the medications or equipment that child needs, so that day-to-day medical supplies for other children are lacking. Other times, the child with special needs is unable to receive the treatment or supplies required by their condition because money is not available. 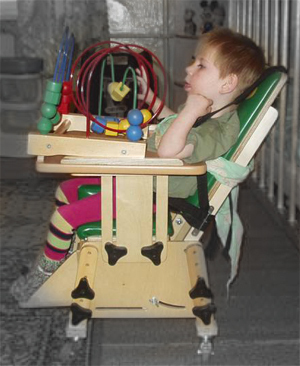 The Dima program provides medicine and durable medical equipment for children with special medical needs. Through this program, Friends of Russian Orphans provides wheelchairs, cerebral palsy slant boards and other adaptive equipment. We have been blessed to see special children grow and thrive when needed medications have been provided on a regular basis.